The appeal of Kubernetes is universal. Application development, operations and infrastructure teams recognise diverse reasons for its immediate utility and growing potential — a testament of Kubernetes’ empathetic design. Web apps, galvanised by the 12 factor pattern as well as microservice-structured applications find a native habitat in Kubernetes. Moreover, there is a growing list of analytics and data streaming applications, Function-as-a-Service platforms and deep/machine learning frameworks that benefit from Kubernetes’ functionality. Add to the mix a deep desire to decouple applications from VMs, increase portability for hybrid cloud operations, and a voracious appetite from the business for continuous innovation. The intrinsic diversity of goals and expectations make the decision for the most appropriate Kubernetes solution challenging. Here, we will explore what constitutes a minimal viable Kubernetes environment from a developer and operations perspective. We have learned much from the rise and fall of the “move fast and break things” development mantra. To implement and test ideas quickly, unverified approximations and assumptions might be employed. Conversely, achieving consistent and reliable behavior, for any engineering endeavor, in-depth understanding and hypothesis validation is necessary. Developers need to write and debug code in the comfort of their IDE, complete unit tests on their laptop, and collaborate with their devops peers for integration testing and production lifecycle management. Having a tacit knowledge of Kubernetes drastically improves the efficiency of a developer. Using a production-grade Kubernetes cluster for such experimentation is a cumbersome experience. A self-contained, isolated and disposable cluster is preferred. With microk8s, anyone can install such a cluster on a laptop or a VM (local or in the cloud) in a matter of minutes. 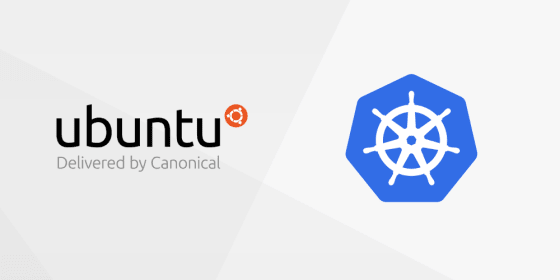 Microk8s is an entire Kubernetes cluster in a snap, and it can be easily installed on the most common Linux distributions. At the current stage of the Kubernetes wave, a minimalistic cluster is a nimble cluster. As Kubernetes evolves quickly, along with its ecosystem, it is crucial to cherry pick additional components progressively and maintain agility for alternative options in the future.